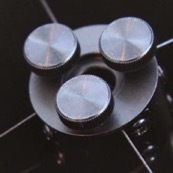 We offer knobs for the Meade Lightbridge Mini series secondary, but not for the primary. 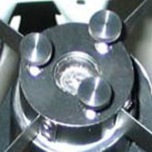 The Lightbridge Mini 114 and 130 already have factory primary collimation knobs, and the Lightbridge Mini 82 has a fixed primary mirror. Fits: Meade Lightbridge Mini 82 and Mini 114 Newtonian telescopes. Fits: Meade Lightbridge Mini 130 Newtonian telescopes.